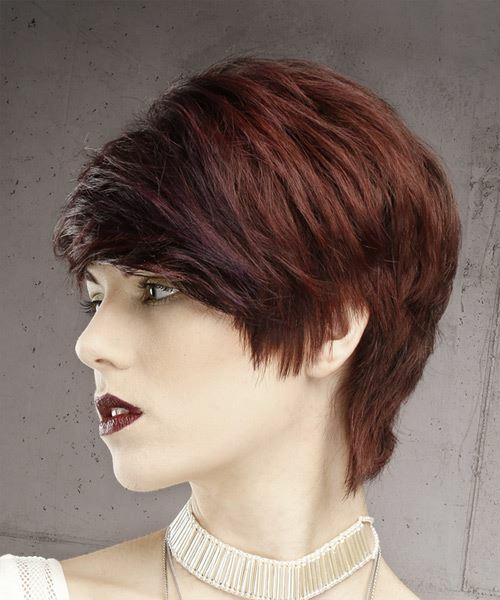 This longer version of a pixie cut is ideal for ladies with thick hair. 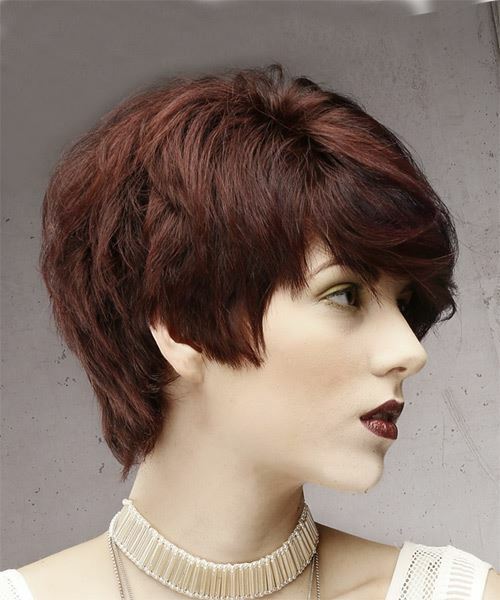 Longer layers are left on top to create a side-swept look while the back has been tapered in with the ends flicked out. 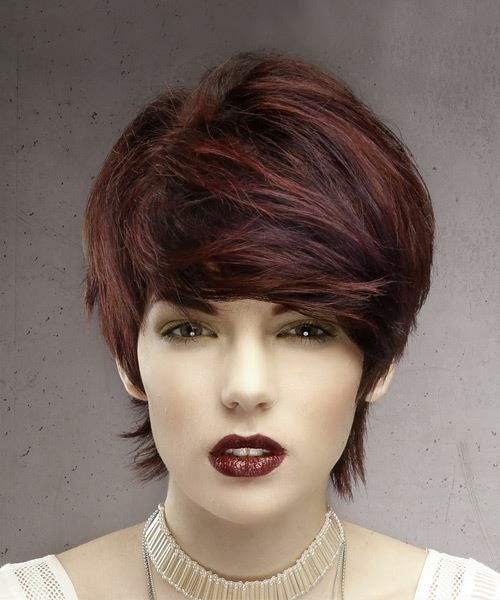 This voluminous hairstyle will suit an oblong face shape the best, and will need regular trims to keep its shape. Flick the ends out with gel wax to finish this look. Using gel-wax and your fingers grab the mid-lengths of your hair and then drag it out and upwards for a soft and shiny result. For maximum hold the use of gel is recommended.